Smough, who guards the cathedral in the forsaken city of Anor Londo. hopes of being ranked with the Four Knights. 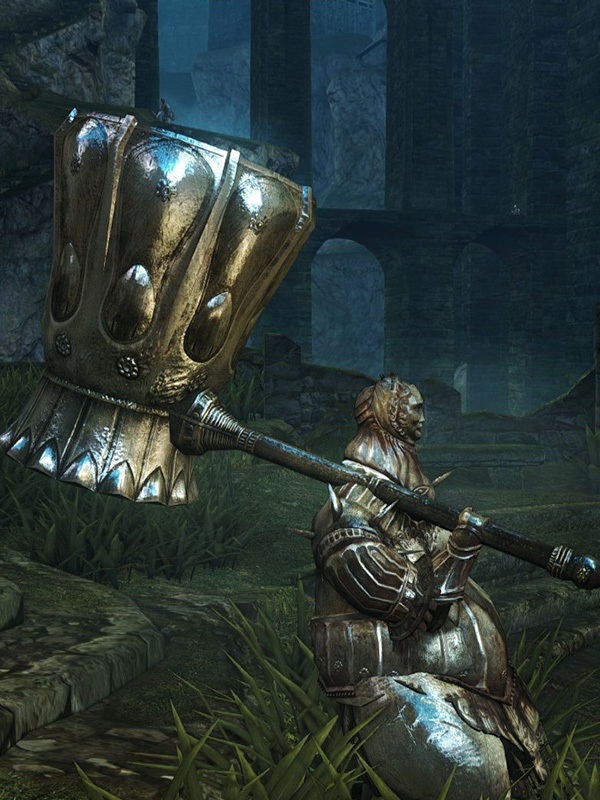 Has a slightly larger hitbox in its 2-handed rolling attacks compared to other Great Hammers. One-handed strong attack is replaced by a delayed right-to-left swing. Two-handed strong attack is replaced by a delayed leaping smash.